﻿ Boston Black politics take on Elizabeth Warren and remember the first African Americans elected in Massachusetts. Lowell, MA February 8th, 2019 Black History Month - The rigged system that pits the rich against lower paid Americans has a person named Senator Elizabeth Warren working to remove their President. Senator Warren said she will turn down donations from PACS and Billionaires. What if the wealthiest power brokers were pushed out of the way is a fantasy that generates novels like "Dark Money and "False Black Power." Warren said we need to change the rules and clean out Washington because the Trump Administration is corrupt and must be replaced. Her fighter personality powers the playbill for her political battles ahead. On the democratic side well-oiled orators compete for the same space she entered. President Trump elevates woman-driven politics. The Harris vs Warren competition is coming over the next several months. Black men who enter the race on the Democratic side will split the money and the vote that could be going to women running for president. But there is no bankable investment to be sure of right now. It is too early. Blacks and progressives are fresh from disappointing losses by the Gillian and Abrahms Governor's races. Deval Patrick dodged the bullet early. Holder may still be deciding. Oprah won't run. Michelle Obama shouldn't. Touch base with the Mass Alliance organization for an info gathering session with seasoned political consultants who do campaigns for candidates of color. At massalliance.org learn more (617) 722-4320. The town of Framingham elected their first African American female mayor. Newton's Setti Warren was the first male Black mayor. The Town of Randolph, a cousin to Black Boston where more Black people live per capita than in any other city/town in Massachusetts, has elected three Black town councillors. Councillor Natascha Clerger won recently. She will join incumbments Ken Clifford and Katrina Shaw and they will govern an almost all-black elected school committee. RoxVOTE.org organizes enthusiastic voter information activities. For campaign event updates, visit the RoxVote web site. The Boston Police Department Elects a Black Man to Run it. 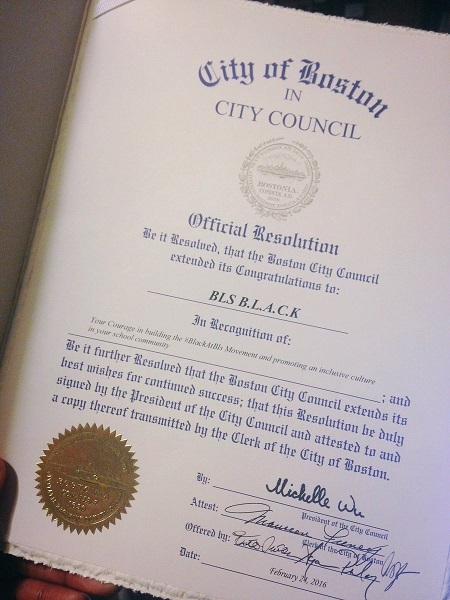 July 23, 2018 as the full moon was rising, Boston named its first Black Police Commissoner ever since the city received a charter in 1630. Thank you Sadiki Kambon, all community activists, The Lawyer's Committee for Civil Rights, The Blackstonian, MAMLEO and Boston Praise Radio, the Boston Globe and countless others for insisting the mayor's administration share its formidable power with people of color at City Hall. William Gross, the new interim Commissioner takes full charge on August 4th. 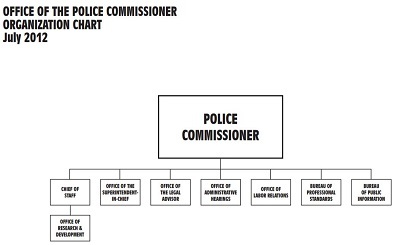 The Police Commissioner is the Executive Head of the Department and is responsible for the management, planning, direction and control of the Department. Thank you Mayor Walsh. You promised this! There will be Black community pressure to have the BPD reorganized. 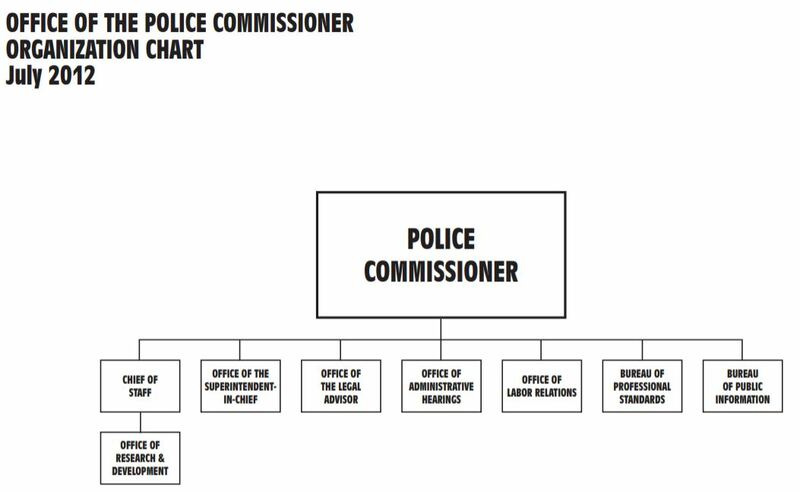 The Offices and Bureaus which report directly to the Police Commissioner are: the Office of the Superintendent-in-Chief, the Office of the Chief of Staff, the Bureau of Professional Standards, the Bureau of Public Information the Office of Administrative Hearings, the Office of the Legal Advisor and the Office of Labor Relations. The York Times headlined the matter with the article and title "White Americans Gain the Most From Trump’s Tax Cuts, a Report Finds." "Congress sqaundered an opportunity with the $1.9 Trillion Tax Cuts and Jobs Act (TCJA) to help low-income and middle-class families—particularly those of color—build the wealth needed to secure their share of the American Dream ..." according to the analysis by ProsperityNow.org - view full report, learn more. Dec 16th at 9am, North Eastern University. The Boston Communities United organization (BCU) and the New Democracy Coalition (NDC) held a press conference in front of the entrance to the mayor's office second public forum and race dialogue at Blackman Auditorium. 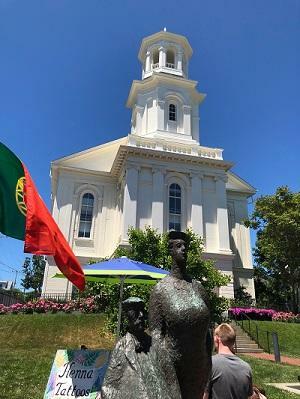 The group pushed forward a Ten Demandment Agenda and called for the renaming of Dudley Square and Fanueil Hall town square and buildings to remove the slave owner names. "Racism is implicit in our culture," said the City of Boston Chief Resilience Officer who resigned from the position days after this event was held. With a responsibility to improve Boston's racist image, an observer quipped "but, she had no budget." 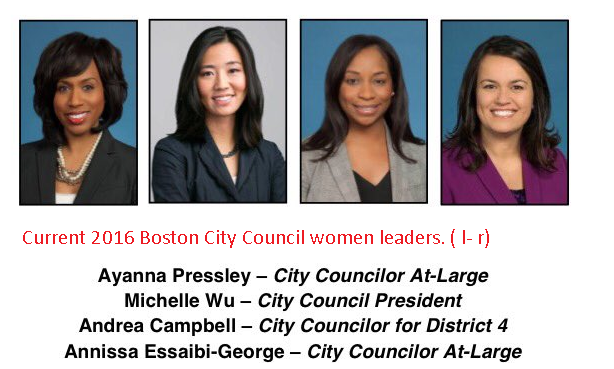 Women in power on the 2016 Boston City Council. Former Boston city councillor Tito Jackson received 10s of thousands of votes from Blacks and other voters but he was handily defeated in his own city council district by his opponent in the 2017 Boston mayor's race when he was defeated him by a wide margin. Black political activists were pleased to see the 30,000+ plus votes for Jackson. In late 2017 they said that was something to work with as future candidates hit the political road, because black Boston voters are known to not vote on election day, they say. In recent media it was mentioned that Mr. Jackson joined a cannabis industry company as an executive after leaving the council. Congratulations Candidates! You are taking it all the way up to the victor's throne. Blacks are blazing campaign trails with clarity, purpose and comprehension of the issues people with no political power go to bed thinking about. Its happening in Randolph, Framingham, East Boston and Roxbury. By their upbringing, their will power, their determination and purpose, they run. We wish you all the very best. We should all VOTE November 7th and help these candidates make political history again. Deval Patrick won the governor's race in 2006 and took power in 2007. In the beginning of the campaign, Kahil Byrd drove the campaign startup cycle. When asked why Patrick was running, Patrick said "I had heard countless others tell me I should run because I can make a difference." The impact of Mr. Patrick's contribution to Black Boston and Massachusetts state is a history that has been recorded. Governor Patrick's term ended January 2014. He was the first African American governor of Massachusetts. After leaving office Mr. Patrick became the first black partner at Bain Capital, Inc. Headquartered in Boston, Bain is an international consulting and equities investment firm cofounded by former presidential candidate and Massachusetts governor Mitt Romney. Listen to Governor Patrick's 2010 English High School kickoff re-election speech audio recorded exclusively by AboutBlackBostonOnline.com. It opens on the song "Baby You Ain't Seen Nothing Yet," by 80's pot head band favorite "Bachman Turner Overdrive" and includes a shoutout to Congressmen Capuano. you get this if your browser does not support the audio element, otherwise turn your sound up. Boston Black clergy walks a thin line before the public on election day. It is not known what white pastors and ministers are telling their followers about politics, but Black ministers make sure the public knows they are NOT publicly endorsing a candidate in today's election (its the IRS rules thing about non-profit status.) These ministers are speaking one thing certain. They're saying that today is your date to vote. They're saying if you do not vote and come to them with a problem, they cannot help you at City Hall because if you don't vote you don't count at City Hall. Black church leaders want you to vote. They've been working on this message all the way up to election day. If Blacks who listen to them fail to exercise their right to vote today, Black ministers will be disappointed. The Vietnam War and the invasion of Iraq clearly show how negative outcomes are created by political leaders who make bad decisions. For Blacks, this is nothing new. Official Housing and Urban Development (HUD) policy for 20th century housing markets threw Blacks into housing projects, behind red-lined boundaries, and made it impossible for white real estate agents to sell houses to Black people where they wanted to live. The practice went on into the 70's. HUD created the Black Ghetto. Follow the Money and view Massachusetts MBE revenue figures. 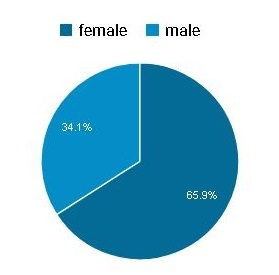 Positions are changing and this information may be outdated. The City of Boston's Chief Diversity Officer is Daniels Tavares, a native of Praia, Cabo Verde. 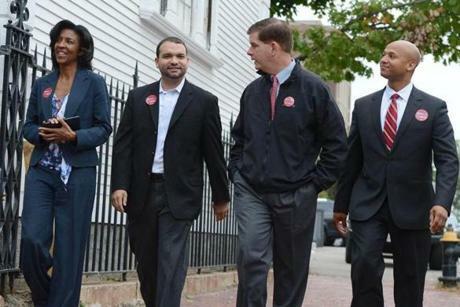 The Boston mayor appointed his election opponent John Barros Chief of the Office of Economic Development. Together they successfully lobbied General Electric to move its HQ to Boston. 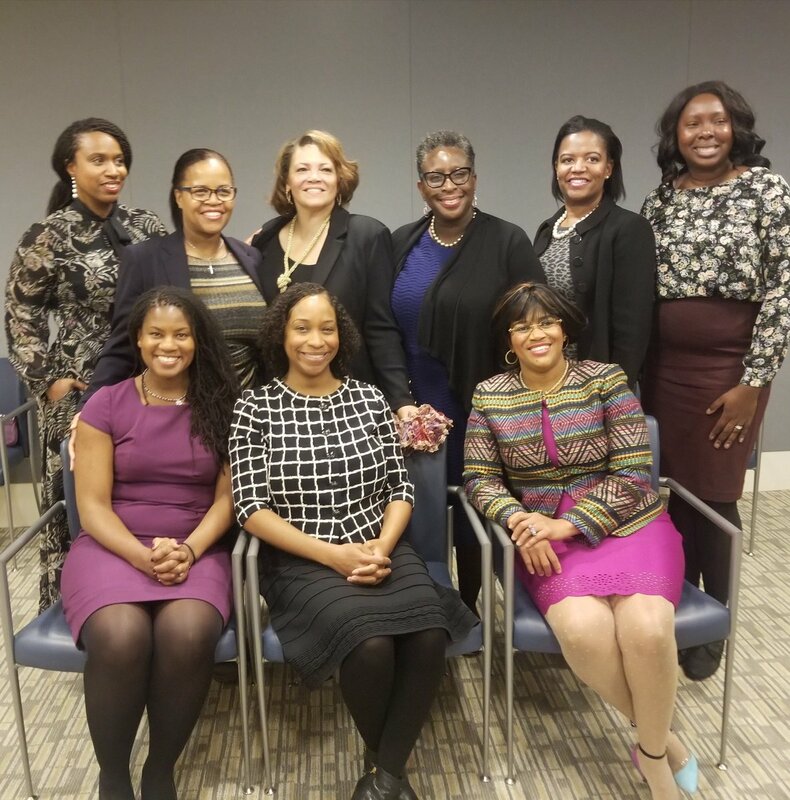 Lead directors in the Massachusetts Commission Against Discrimination (MCAD) are women of color. Jamie R. Williamson is the Chairwoman and Charlotte Golar Richie is Commissioner. 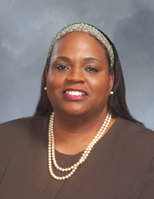 Denise Simmons is the current African American mayor of the City of Cambridge. (June 24, 2016) - The panel of Kevin Peterson, political activist and radio producer, Boston City Councilor Andrea Campbell, Bob Marshall of the Black Educators Alliance of Massachusetts, and Darnell William, President of the Urban League of Eastern Massachusetts discussed racism issues inside Boston Latin School and around the Boston Public School system on Kevin's weekly Politics and Grits radio show airing online and on Boston Praise Radio TV at WRCA 1330 AM and WBPG-LP 102.9 FM. Press Play, move playhead forward to 02:00 for the Boston Latin segment. (March 2016) - The Boston NAACP, the Urban League of Eastern Mass and local civil rights protectors have effectively used public advocacy and political pressure on behalf of #BlackatBLS Black Students at Boston Latin School protesters. Using social media, black student leaders made the case that the principal of the school left them less than satisfied when they brought complaints about racist activity in the school to her. The result: The Carmen Ortiz Office of US Attorney in Boston announced a civil rights investigation about the incidents. You can learn about this epic situation in news story. 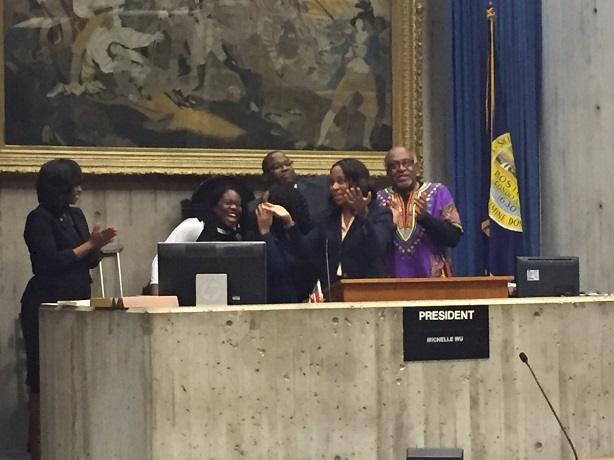 @BOSCityCouncil shows support, awards official City of Boston resolution to #BlackAtBls Boston Latin school student protest group provided by @titojackson @AyannaPressley @CampbellforD4. September 9, 2015 - Incumbent District Four Boston City Councilor Charles Yancey lost the preliminary election once in 32 years according to one source, to first time candidate Andrea Campbell. Boston Banner Bay State Banner newspaper political opinions. There are two reasons corporate America embraces diversity. Government policy demands it. And the marketplace demands it. Customers feel more comfortable when buying from someone that looks like them. So marketing is political - a control mechanism. Boston's newest global corporate citizen (NYSE: GE) is the world’s Digital Industrial Company. 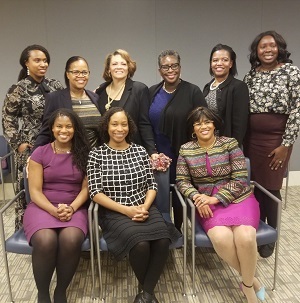 They have a thing going on for African American engagement and they describe it this way: The GE African American Forum (AAF) mission is to strengthen African American employees at GE through professional development, career management, and mentoring that will enable retention and growth. The forum also works to strengthen the bonds between GE and its local African American communities." the movement, race and inequality at the Edward Kennedy Institute on 9/27/2015. Senator Warren and Congressman Elijah Cummings of Maryland have organized a Multi-Racial Coalition agenda in Washington DC to enact legislation because of the Black Lives Matter movement. The cold record breaking historic Boston snowfall couldn't keep Boston City Councillor Ayanna Pressley from winning the EMILY'S LIST Rising Star award earlier this year. 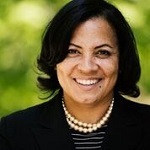 EMILY’s List three million members strong have willed the elections of 19 Democratic African American women currently serving in the US Congress and takes credit for having elected every Democratic Congresswoman currently serving. But there hasn't been an an African American woman Senator in 16 years, and there has never been an African American woman governor elected yet. African American women still face social, political, and cultural barriers that keep them from running for office. The big bosses of the 2015 Masschusetts General Court are now seated. Under them, African American Massachusetts Senator Linda Dorcena Forry has the chair to run the Joint Committee on Housing and the Special Senate Committee on Housing, tasked with examining housing policy and increasing access to low-and moderate-income housing options. This is soooo important!!! Last year, Forry held a UNION APPRENTICE OPEN HOUSE with the New England Council of Carpenters 1-800-275-6200. The job fair connected individuals from underrepresented communities to sign-up, join the trades and access lucrative wages and benefits. The NAACP celebrated 100 years in Boston in 2007 and we want you to have a souvenir keepsake you can download here. It has rare photos and NAACP movement history. The Niagara Movement 1905-1909, established the modern civil rights movement and led to the founding of the NAACP. The third of its five meetings and the largest was held in Boston in Faneuil Hall in 1907. The movement’s membership, led by W.E.B. Du Bois, was made up of some the most accomplished African American businessmen, teachers and clergy of the day. It was intended to counteract the inequity and the social and political ills impacting African Americans at the time. 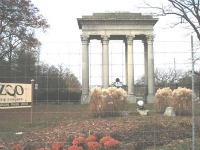 The late 1800s saw the demise of the Reconstruction Period. In 1896 the Supreme Court Decision of Plessy vs. Ferguson created government approved segregation. Boston NAACP phone number (617)427-9494. The Governor is head of the executive branch and serves as chief administrative officer of the state and as commander-in-chief of the Massachusetts' military forces. His or her responsibilities include preparation of the annual budget, nomination of all judicial officers, the granting of pardons (with the approval of the governor's Council), appointments of the heads of most major state departments, and the acceptance or veto of each bill passed by the Legislature. Several Executive Offices have also been established, each headed by a Secretary appointed by the Governor, much like the president's Cabinet. The Governor may recommend new policies for Massachusetts, new legislation, and changes in the administration of departments that conduct the government from day to day. He or she has the power to order out the National Guard to meet domestic emergencies, and is Massachusetts chief spokesman with the federal government. 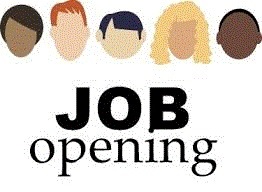 The Diversity in Transition Resume Database was put together before the new Governor took office to help his administration find and recruit qualified people of color by the Diversity in Transition Committee. It held 440 resumes at one point. 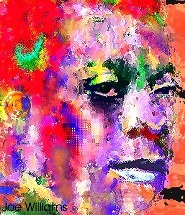 Visit them at -- > DiversityInTransition.com. 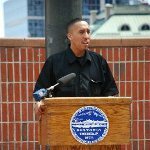 February 10, 2014 - Mayor Martin J. Walsh announced the appointment of John Barros as Chief of his Economic Development Cabinet. In his role, Barros is charged with fostering economic development in all of Boston's neighborhoods through marketing Boston on a national and international scale; ensuring access to employment, pathways to careers, and strong job growth; streamlining licensing and permitting processes; and supporting small businesses, particularly women- and minority-owned businesses. Barros now commands control of the aggressive Boston Redevelopment Authority. In college, he studied Economics and African/African-Studies and recently was at the helm of the Dudley Street Neighborhood Initiative and has served as a member of the Boston Public Schools Committee. Mr. Barros helped underwrite initial public offerings for dot-com startups when he worked for the Chubb companies. 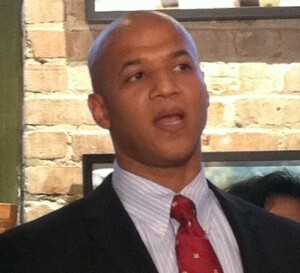 Barros was an opponent of the mayor in the 2013 race for Boston mayor and had received the endorsement of the Boston Globe newspaper. The City of Boston corporate structure now consist of 12 cabinets which are: Arts & Culture; Chief of Staff; Economic Development; Education; Environment, Energy & Open Space; Finance & Budget; Health & Human Services; Housing & Neighborhood Development; Information & Technology; Operations & Administration; Public Safety; and Streets, Transportation & Sanitation. The leadership team will also include, ex officio, the Corporation Counsel, Chief of Policy, and Chief Communications Officer. John's Economic Development cabinet position is a new position described by Mayor Walsh as the first step in a broad effort to streamline and support the areas of focus that contribute to Boston’s economy, including tourism, jobs and employment, businesses development, and real estate development. The new mayor emphasizes the need for increased transparency and accessibility for all Bostonians – especially women- and minority-owned businesses, and local businesses – to share in and benefit from the economic boom in Boston. Download our open data brief filed September 20, 2013 about the weak black vote during Boston's mayoral race. (Jan 2, 2014) - It is not difficult to see how this came to be. WALSH won the popular vote in the 2013 Boston mayor's race. He got Black, Latino and Hispanic voters in his column by negotiating places in his administration for competitors Barros and Arroyo after polling data revealed they could not win the race themselves. Barros was endorsed by the Boston Globe. With those moves, Dorchester Savin Hill candidate Marty Walsh took the person of color block vote away from West Roxbury challenger John Connolly in the final election. Notable Black Boston leaders supporting Connolly were Touch FM radio station co-owner Charles Clemmons, Minister Don Muhammad of the Nation of Islam and Sister Virgina Morrison of the Grove Hall Neighborhood Development Corporation. Take a look at everyone in the photo above. Mayor Walsh is the fellow 2nd from the right and his opponents are there with him. They joined his transition team and some may work in his new administration. Boston, its going to work out. We will see. Happy New Year Charlotte Golar Richie. Best also to Mr. Barros and Mr. Arroyo. May the force be with you all. Bostonians are going to need it. You all left a lot of engaged citizens waiting in anticipation for the fresh start - the new ONE BOSTON, if it can ever be JUST 1. They will be peering through microscopic glasses at you, watching what you do. Transparency was part of your promise, now allow it to become part of your everyday plans. We know its incredibly hard to administer a democracy. But, there will be expectations that you'll do better for the 99% than the last guy did! ( During Race for Mayor ) Martin Walsh and John Connolly swear they'll do more for minority businesses than has ever been done if elected Mayor of Boston. The "Urgent Need for Massachusetts: Growing minority-owned businesses" disparity study by Boston Consulting Group and Blue Cross Blue Shield took a stab at the issue ten years ago. Time will tell if a new Boston mayor will positively impact businesses owned by people of color. (Nov 1, 2013 Boston) - John Connolly endorsed by Charles Clemmons, an African American former Boston mayoral candidate and current radio station co-owner of Touch 106.1FM branded the fabric of the Black Community with an estimated 190,000 listeners in Black Boston. ( October 2013 ) - Black Boston political leaders, Black ministers and a tiny number of well-known black business leaders have spread their mayoral endorsements carefully across the Boston mayor's race spectrum. Bay State Banner Newspaper royalty - Boston's premiere African American community newspaper, has endorsed John Connolly for Mayor as did prominent black business leader Clayton Turnbull. An endorsement for John Connolly flowed from a congregation of well-known black ministers including the Rev. Bruce Wall of Global Ministries. Martin Walsh got the most endorsements from Boston political leaders of color. Endorsing were the first elected Latino Massachusetts State Senator Sonia Chang-Diaz, Black Legislative Caucus leaders Rep. Carlos Henriquez and Rep. Gloria Fox; Boston City Councilor Felix Arroyo, DSNI Executive and former candidate John Barros of Cape Verde, and countless others in the progressive community. Former mayoral candidate Charlotte Golar Richie (CGR) who place third behind Walsh and Connolly endorsed Martin Walsh too. ( 2013) - Only 13% of registered voters in Boston's 65 majority-black voter districts voted in the recent mayoral preliminary. This low voter turnout caused candidates of color to lose their best chance in 30 years to become Mayor of Boston. Of Boston's 600,000 residents, more than 50% are people of color and the governor of Massachusetts is African-American. Appearing in this video story are WGBH News senior reporter Phillip Martin, Ken Cooper, the editor of UMass Boston's Trotter Review, and Dr. Peniel Joseph, the Tuft University professor of African-American studies. ONE REASON - "Boston, in terms of the way local, municipal politics have played out historically, they're in a different position now," Joseph said of the candidates of color. "It's a majority-minority city, but there's no power broker or community organization that could winnow these candidates out before they ran." September 24th, Charlotte Golar Richie lands in 3rd place. First and second place winners Marty Walsh and John Connally advance to Nov final mayoral election. In this audio file, Richie discusses poll results before the election and her thoughts about candidate John Barros receiving the Boston Globe newspaper endorsement. *ENDORSED BY THE BOSTON GLOBE Congrats to John Barros and his family's newest baby! Mr. Barros has offered compelling reasons to elect him mayor of Boston. He's a grad of Dartmouth College and a candidate for a Masters in Public Policy from Tufts University and has been the Dudley Street Neighborhood Initiative, Inc. Executive Director where over 200 permanent affordable homes were added to the city's housing stock. Charlotte Golar Richie has opened six new offices in Boston Mayoral districts for campaign outreach and communications. The Freedom House explains why it did not permit the Candidates of Color forum for Boston mayor to be held on its property. Press the play button to hear Freedom House CEO Katrina Shaw on Touch 106.1 FM radio. Right click to "Save Audio As" MP3. Access the election department for voter statistics, voting procedures and forms. Besides improving the city’s image, electing a mayor of color would represent an important step toward healing the lingering wounds of the busing crisis. Power dynamics would change, too. City employees, already from all races and ethnicties, would work under a chief executive of color for the first time, which in turn could embolden more people of color to run for office, building a pipeline" ... wrote Ken Cooper in the article "Why Boston Needs a Mayor of Color," (Boston Globe, August 18th). Jamarhl Crawford enters race for Roxbury District Seven. Its Crawford vs Tito Jackson time! 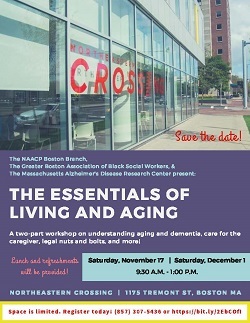 Boston City Council District Seven covers Roxbury and Black Boston. Crawford launched his write-in campaign effort after depositing funds with the state office of political finance and campaigns. He's an activist, author and publisher of the BlackStonian web site. Here is the new state Senator Linda Dorcena Forry. She won! Her First Suffolk Senate district covers South Boston. It had historically been the seat that propeled Irish-American men from South Boston to powerful leadership positions in the Massachusetts General Court. Congratulate Linda Dorcena Forry, the first Haitian-American to serve in the Massachusetts state Senate and the first woman to represent the district. Follow this link to connect with the eleven members of the Massachusetts Black and Latino Legislative Caucus. Jose Maria Pereira Neves, Prime Minister of the Republic of Cape Verde was in town March 31st and received a commendation from Boston City Councillor Charles C. Yancey at the Dorchester House. Elected President of the “Partido Africano da Independência de Cabo Verde (PAICV), Neves was cited for his leadership and for steering his country through the financial crisis. We participated in the first African American Computer Culture Symposium in 1994. It was promptly branded an interactive Niagra Movement when the Congressional Black Caucus Foundation and American Visions magazine convened black people from across America to plan for their cyber-connected future. A hearing about City of Boston minority staff hiring and its vendor contract practices was convened by Councilor Yancey. It is his position that Boston simply isn't hiring enough black people and minorities in key positions to run the government. Minority-owned business contract vendors feel that improvements can be made in their sector. Meanwhile, the Mass Convention Authority seeks proposals to build new hotels on Boston Harbor. ROXBURY DISTRICT COUNCILLOR Tito Jackson, appeared with Outreach Director for the Warren Campaign, Steve Tomkins on CityLine5's post-election special public affairs tv show, along with Latino organizer Oiste to discuss local grassroots campaign efforts and their impact on pushing Senator-elect Elizabeth Warren and President Barack Obama into elected office. He cited the work that was being done block by block long before the election was held and praised Elizabeth Warren for being focused on issues such as foreclosure, hiring local campaign workers and making numerous appearances in Black Boston. Catch another side of the story in a live stream from Basic Black on GBH2. Nationally, the NAACP stated it registered 432,000 voters and moved 1.2 million to the polls for the 2012 Presidential Election said Ben Jealous, President of the National Association for the Advancement of Colored People. His organization purchased a database of voters in all 50 states and went to work on it. In The Root article titled "Ben Jealous, Elections's Unsung Hero." Now, the four things the NAACP wants from OBAMA are: job creation, mass incarceration, child education and health care protections. On November 2, 2012 the majority of Boston City Councillors approved a new redistricting map required by Census results that will remove people of color from some voting districts and place them in others. June 16, 2012 - The Supreme Judicial Court has sided with Chuck Turner when it ruled that the Boston City Council removed Councilor Turner from office illegally. The new SJC decision could entitle Turner to back pay. "It’s a moral and legal victory," said Turner’s lawyer, Chester A. Darling, who added, "Whenever a government abuses its authority, someone should push back." When the council convened to vote, Councilor Charles Yancey was the only one who went against the council's wishes when it moved to remove Turner from office by an 11-1 vote. Turner left City Hall the next day. 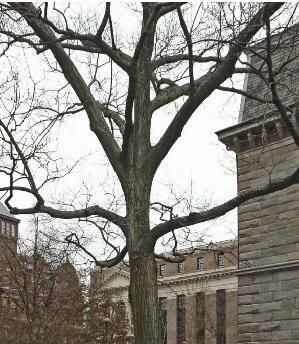 The full story is available in the Boston Globe Newspaper. Only one legislator of color was holding a leadership position in the Massachusetts Congress in 2015-2018. His name is Byron Rushing (in the photo). He has been appointed Assistant Majority Leader by the Speaker of the House of Representatives. More info is available on the Massachusetts Legislature leadership page. He is a presistent community leader and black history expert. Basic Black on channel WGBH 2 is a Boston gem. The television show is broadcast on air while viewers can interact with show panelist online. The Basic Black series covers issues affecting the black community. View Basic Black episodes online. All previous shows can be viewed in their entirety. Programs air Friday night at 7:30 p.m. Eastern on PBS 2 and affiliated networks. 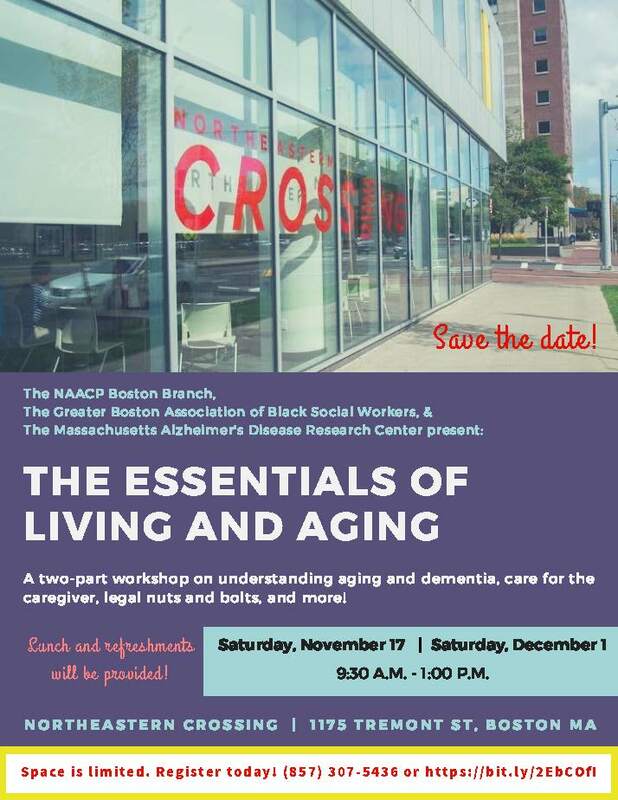 Featured panelists are: Latoyia Edwards, NECN anchor; Phillip Martin, 89.7 WGBH Senior Investigative Reporter; the host is Callie Crossley and Kim McLaurin, author and adjunct professor at Emerson College appears on the show with special guests. REMEMBERING NOV 3, 2009 night of - the nerve of Boston's intellectual elite was captured that year, when editorial page authors of neighborhood-focused newspapers advised readers to VOTE for two African Americans, and one Latino candidate for three of four possible Boston City Council at-large open seats. Elections are over, and the winners have emerged. An African-American woman won an at-large seat on the Boston City Council for the first time ever. Close by in Newton, Massachusetts an African American male was elected Mayor - the first popular-elected black mayor in Massachusetts history! Smithsonian photographers created this composite image of the Star-Spangled Banner in 2004 from 73 separate photographs. 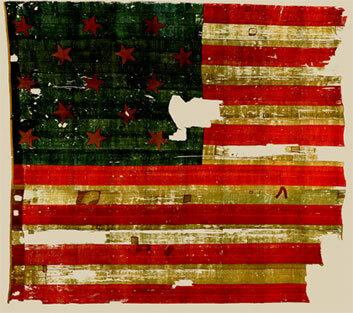 The flag's large size (30-by-34 feet) prevented photographers from capturing it in one image while conservators worked on it in the specially-built conservation lab. Bruce Bolling, (April 29, 1945 – September 11, 2012) was a politician and businessman in Boston, Massachusetts. He served as the first black president of the Boston City Council in the mid-1980s. Bolling served as a racial healer in the aftermath of Boston’s busing crisis in the 1970s. He was instrumental in urging for calm during the Charles Stuart case in which a white man sought to blame the murder of his wife and son on a fictional black man in Roxbury. The case caused a national racial uproar and led to police and community tensions that remain until today. As a city councilor, Bolling opposed efforts by some radicals in the black community to create a separate city called Mandela which would have led to so-called minority neighborhoods succeeding from Boston based upon perceived racial bias. Andrea J. Cabral, J.D. is the current Massachusetts Secretary of Public Safety and was named to the post by Governor Deval Patrick the 12th of December, 2012. She took office in 2013 after resigning her rein as the first black female Sheriff in Massachusetts over the Suffolk County jurisdiction. She was appointed to the sheriff's position in 2002 by former Governor Jane Swift, elected to a full term in 2004 and re-elected in 2010. In 2010, Sheriff Cabral was appointed to the Science Advisory Board (SAB) by United States Attorney General Eric Holder. The SAB is comprised of 18 experts - scholars and practitioners in criminology, statistics, sociology, criminal justice and juvenile justice - and was created by the DOJ's Office of Justice Programs to help bridge the divide between research and practice in the criminal justice fields. Sheriff Cabral is a graduate of Boston College and Suffolk University Law School. We witnessed Ted Kennedy's last motorcade pass down Atlantic Ave turning the corner just before Commercial Street. This funeral procession was a huge affair turning out just as many people to the Faneuil Hall area as a 4th fireworks display. The first company I bootstrapped was located on that corner. It was familiar ground. I watched the funeral procession approach my corner. A retired Italian standing close said to me "Ted was a good man ... if it were not for him, I would not have been able to own a downtown parking lot. I made a fortune and I will miss that guy." Union workers lined the streets holding signs in solitude to the Kennedy family's passing funeral motorcade. On August 27th at 4:15 p.m., it was rolling along The Big Dig. It went parallel to the Rose Fitzgerald Kennedy Greenway where Ted's personal investment bootstrapped the construction of downtown greenway parks. In 1974, Bill Owens became the first African-American elected to the Massachusetts state Senate. Dianne Wilkerson was the first African American woman elected to the Massachusetts Senate. Running on the Democratic party ticket, she took office in 1993 and lost the 2008 Primary election by a bit over 200 votes to challenger Sonia Chang-Diaz. The Honorable Edward Brooke, was the first African American to be elected by popular vote to the United States Senate when he was elected as a Republican from Massachusetts in 1966. In 1866, the first African-American legislators in New England were elected. Ralph Martin was the first African-American elected (1992 to 2002) Suffolk County (Boston) district attorney while Andrea J. Cabral was elected in 2004 when she became the first Black female Sheriff of Suffolk County. There are three African American Boston City Councilors currently in office. 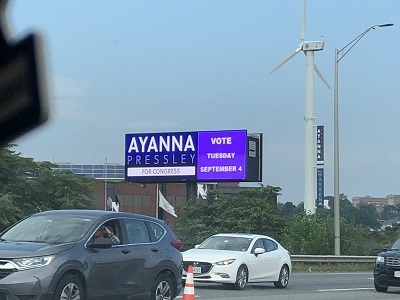 Charles Yancey represents Mattapan (zip code 02126) and parts of Dorchester (zip codes 02120-02125), Ayanna Pressley is a city-wide councilor at-large and Tito Jackson represents Roxbury (zip code 02119). Updates about the first Massachusetts African American politicians in Massachusetts are available. We recommend The Boston Banner newspaper archives where the oldest black media source stores news and information going way back. The Massachusetts Black Legislative Caucus is another source of information. A HISTORY SHORT ABOUT BOSTON BLACK POLITICS: Ward 9 was home to Laurence Banks, Boston’s first black city councilor. Shag Taylor's drugstore on Tremont Street was the headquarters of Democratic politics in the black community going back to the days of Mayor James Michael Curley, noted the Banner archives. She wants to impeach Trump. 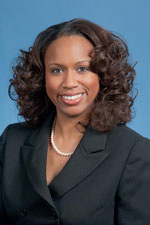 After winning the primary district race, Pressley heads to Congress to represent the Massachusetts 7th Congressional District which includes areas encompassing Harvard Square, the Boston Museum of Fine Arts, Harvard Univ, MIT, Northeastern Univ, The Town of Randolph, Black Boston and a broad geographic area with a majority minority voters. Approximately 100,000 turned out to the past election. Do you write about politics? Sightseeing tours are running weekly. 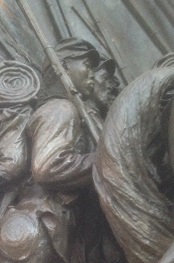 AboutBlackBoston.org Getaways helps you experience Black New England Heritage. 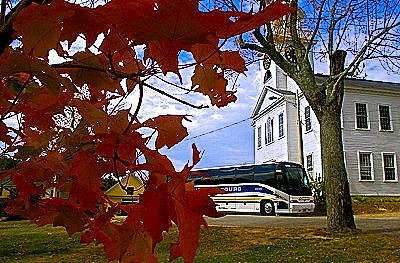 Sightseeing tours that cover New England and Black Heritate Tours go out on a luxury motor coach.. Basic Black on GBH 2 is the longest running public affairs television programming in Boston dedicated to Black issues. And every Sunday morning WCVB Channel 5 airs the Karen Holmes CityLine Show, an African American highlights venue. Its competitor station airs Urban Update. BNN-TV is the public access television station funded by COMCAST. The BNN Channels 23 and 9 airs urban issues, minority issues, Black issues, POC issues and urban affairs programming variety: PSAs, City Hall features, Hip Hop vidoes, Black CHURCH broadcasts, etc. BNN TV is the People's Platform for Boston television airwaves. Any resident who completes a basic orientation at BNN can produce and air a show. KING BOSTON Dot Org is developing the Martin Luther King, Jr., Coretta Scott King memorial on Boston Common park. A million dollars in community programming outreach to teach Dr. King's vision of a better world has been provisioned. Watch it happen. Run the numbers. Visitors to the DC Martin Luther King. Jr. memorial investment are significant. While it may be free to walk past it, tourists spend money in local shops and souvenir trailers on their way to the monument. Who in Boston retail and hopsitality will benefit from the tourists spend after the KING BOSTON work is complete? We hope it is you. Why did a medical researcher in the Southern part team with a church to get volunteers into a medical trial? Contact us about your story. Why do Blacks distrust Clinical Trials? The article will post Dec 1st. Why are research studies different than clinical trials? Boston hotel room rate information you can trusts. in Boston, book now, pay later. Placeholder for creative and informational content. About our Housing Help Desk. 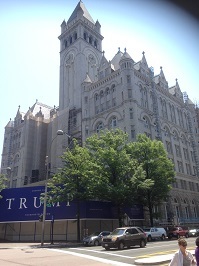 use our smallwall.net site to access affordable rents and condos. Reports about Boston household stats and ethnic demographics. Widget and other title section.